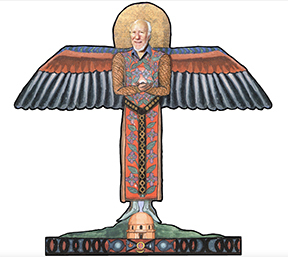 This year’s Annual IASD Conference has some Special Events you will not want to miss. With so many amazing presenters anticipated to stimulate and stir dream life, several special events and social gatherings are planned to help relax and inspire fun. 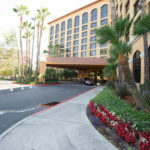 Take advantage of discounted Disneyland tickets, free shuttle from the Wyndham (avoids parking fees) and discounted room rates 3 days before and after the conference. 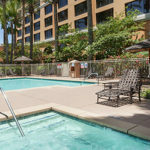 When staying at the Wyndham Anaheim Garden Grove for the conference, you will have FREE shuttle service to and from Disneyland every ½ hour during park hours. 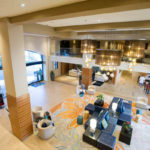 As an added bonus, IASD has ensured that the discounted rate at the Wyndham is available for 3 days before and after the conference for attendees who want to take advantage of the local attractions. *The discounted rate varies from 7-8% savings per ticket. For information on these specially-priced Disneyland® Resort Theme Park tickets, including prices for children and 3-5 day park packages, click here. These special ticket prices are not available once you arrive at the Theme Park. The ticket store closes at 9:00 PM PST on Thursday June 15th, 2017. Don’t delay! Prices are subject to change without notice. These specially priced tickets are intended only for guests that are participating in the IASD Conference. Only the registered attendee is allowed to purchase tickets from this discounted ticket store link and they can purchase up to 6 tickets maximum. Note: Disney reserves the right to contact the ticket purchaser to request event registration confirmation. If it is discovered that the purchaser of the ticket is not participating or attending this event it will be considered a misuse of this offer and ticket, and the ticket(s) will be blocked and will not be eligible for a refund. In addition, these tickets cannot be purchased for the purpose of being resold. 6-13-2017 PLEASE NOTE THE HIKE IS NOW CLOSED DUE TO MAX. REGISTRATION. Boxed meals can be ordered, cash only, at the registration desk, limited availability. On Sunday evening June 22nd, during the free time period, we are offering and optional sunset California Dreaming Beach Hike to socialize and commune with nature at gorgeous Crystal Cove State Park near Laguna Beach, to experience the plants, birds, exquisite views and natural beauty of the California Coast. About 30 minutes from the conference site, Crystal Cove features rolling surf, sandy beaches, tide-pools, gently sloping hills, and deeply wooded canyons and ridges. Both canyon hike and beach hang-out options will be available. Wear shoes that work for sand or trails, bring a windbreaker, water, camera, sunscreen, binoculars. One group will take a 3 mile moderate hike with some elevation gain and ocean views. The other group may choose to do some California Dreamin’ while they make sand castles, go beachcombing and dialogue with sea stars. For non-Californians, keep in mind, it can occasionally be cold and windy at the beach even during the summer. Advanced sign-up required for transportation and box dinner options. A fee of $45 per person will include transportation by bus, entry and a boxed meal. Due to transportation limitations, this event will be initially limited to 35 persons. For those who took advantage and reserved the dinner buffet at the Wyndham, we plan to have a special showing of dream related films at the Saturday and Monday evening dinner times. The showing will be in the Santa Rosa A ballroom, which is a separate room from the restaurant, for those who want to view the films while eating in a slightly more quiet space. Pick up your buffet dinner in the restaurant and bring it into the tables set up in the Santa Rosa A ballroom. The very last event of the conference is an occasion where the dreamers come together to visually express their dreams and have a ball – a Dream Costume Ball! This is our most lively tradition first started by Bob Van de Castle 32 years ago in 1985 at the second ASD Conference in Charlottesville, Virginia. This is a chance to dive unabashedly into the dream world. Come dressed as a dream character from one of your dreams, and we will give you a chance to honor your dream by telling or performing the dream in front of everyone (as long as you keep it short). You will be amazed at the creativity surrounding this event. The costume “parade” will begin at 7:15 PM. Come and watch as that dream researcher you thought was quite restrained in his presentation roars about the room as a giant pink dragon. Costumes are not mandatory, of course, but such fun. And then you can spend the rest of the night, until midnight, that is, dancing away to the rhythms of the local high energy band, Crowd Theory– a 5-piece rock/pop party band with a big sound! Performing a range of hit songs including Top 40s, Alternative & Indie Rock, and the Essential Classics, the band puts on a high-octane performance with hip stage personas and a refreshing modern edge. They features multiple singers, exciting rock interpretations of popular hits, and an unbeatable dance vibe. They will rock the room. And if that is not enough, because we are near the land of Hollywood, someone, perhaps foolishly, put Walter Berry in charge of this event. He will bring a high-end Hollywood lighting rig that he uses for the Entertainment Industry, turning the ballroom into an extremely colorful labyrinth of light. What a dream space this will be. Don’t miss it!